Oct. 16. Cornelius now has an Educational Options Study Commission with an official mission. Its seven members will look at local education options ranging from operating a stand-alone municipal charter school to status quo, which means staying with a school system that seems to carry a grudge. The commission is a result of the Charlotte-Mecklenburg Board of Education—without prior notice—adopting a policy in August which places four municipalities, including Cornelius, at the lowest priority for funding future capital projects and new schools. All of this, despite the fact that these four towns are among the fastest growing areas in the CMS district. The new commission is a direct response to the controversial Municipal Concerns Act of 2018, which was adopted by the Charlotte Mecklenburg Board of Education Aug. 28. 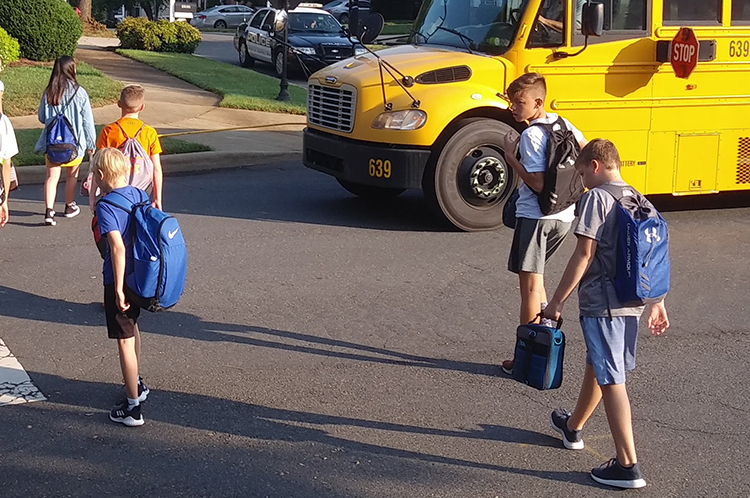 It effectively pushes Cornelius and Huntersville, as well as Mint Hill and Matthews, to the back of the bus for CMS construction money unless they back out of HB-514 and agree to not take any steps toward municipal charters for 15 years. HB-514 was a result of the CMS bond referendum last year in which there was nothing earmarked for new schools in North Mecklenburg. It’s a battle royal over the fate of county-wide public schooling. Mecklenburg, which has one of the largest school systems in the country, juggles urban and suburban interests amidst the backdrop of Charlotte having the lowest upward mobility scores in the nation. The Aug. 28 vote is a profound line in the sand, but it remains to be seen whether the four towns—all of them richer and whiter than Charlotte as a whole—have what it takes to fund and run municipal charters. That’s what the new Cornelius commission is supposed to find out. Mayor Woody Washam appointed seven residents to serve on the commission: Dave Mancuso, Tricia Sisson, Joanie Baker, Jack Higgins, Ivonne Reed, Richard Pappas and Cynthia Bush. Sisson ran for Town Board last year and lost.